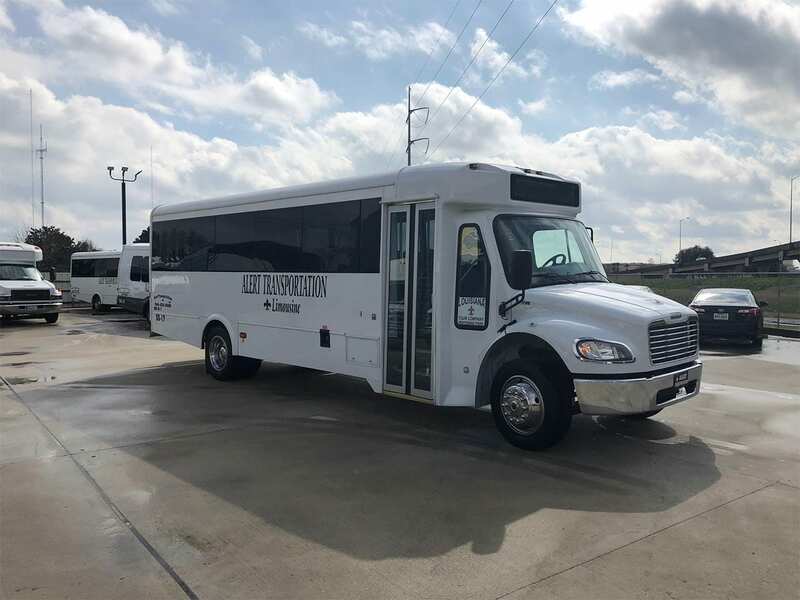 Alert Transportation’s Chevy 5500 Duramax Diesel Black Limo Bus has seating for up to 26 passengers with very limited luggage space, there is only enough space for small carry-on bags in rear and front by driver. 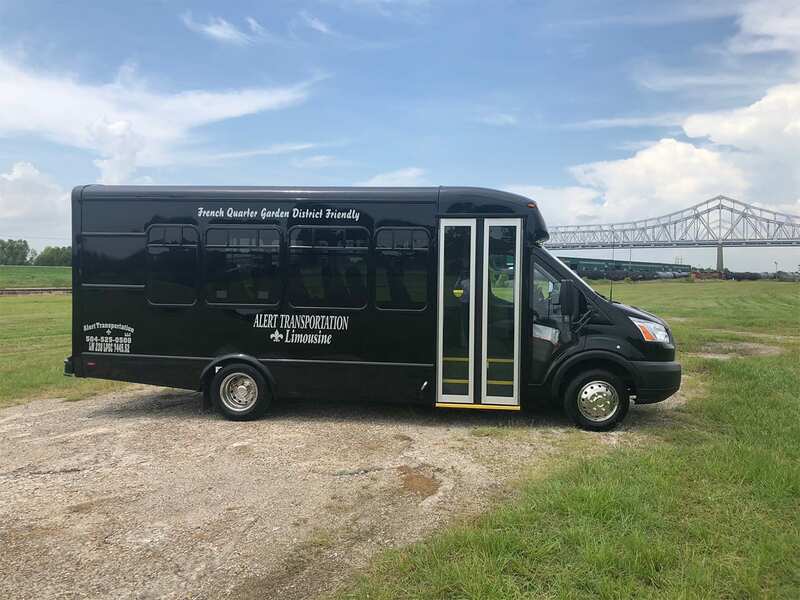 The Party Animal Party Bus is the best party on wheels to hit New Orleans. 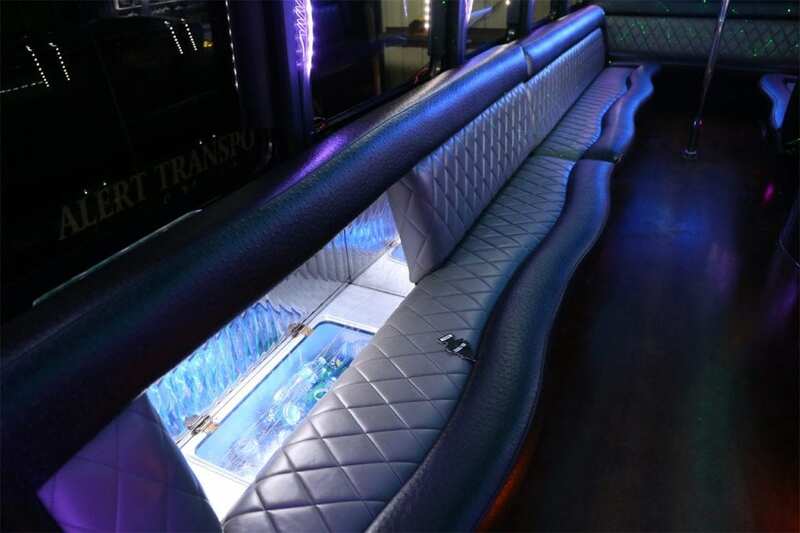 This Limo Bus has everything you need to have a traveling party. 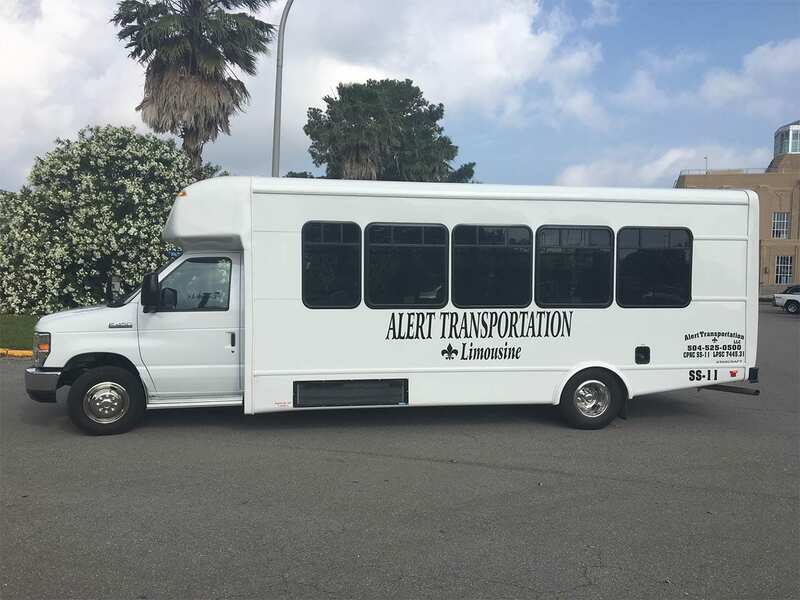 The Limo Bus can accommodate up to 26 people. 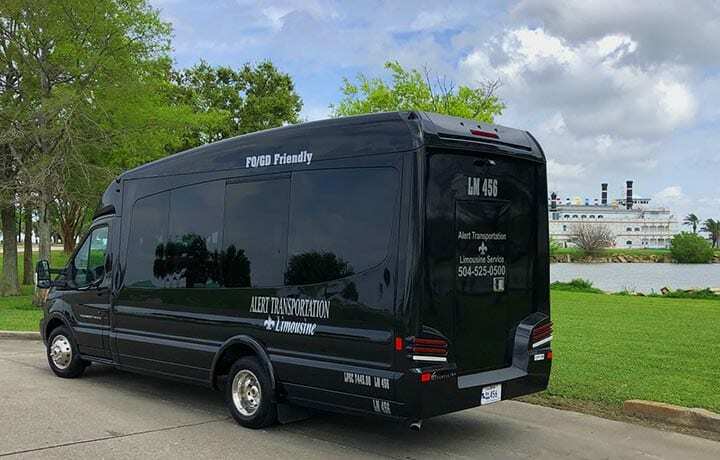 This Party Bus has a killer sound system with two televisions that can play DVDs, CDs, MP3s, and even play music from your phone (bring your USB Cord). 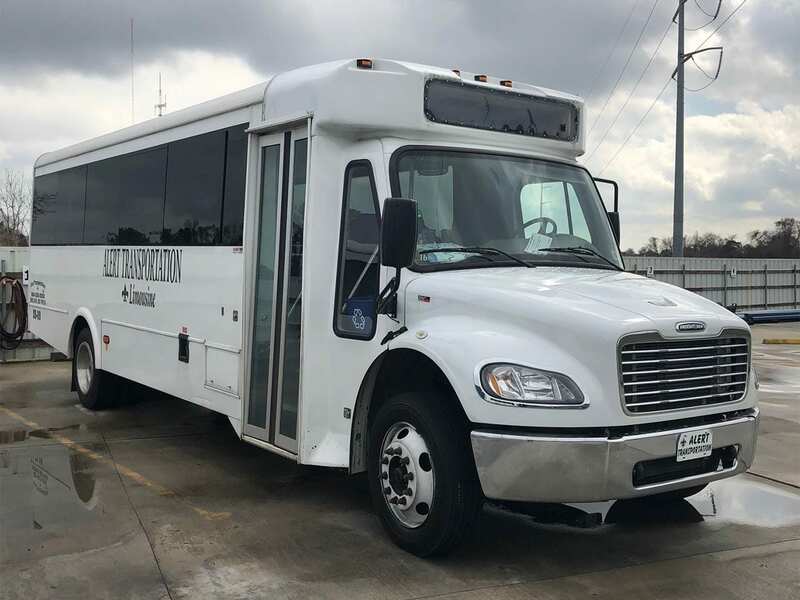 This moving party also has a dance poll and a nice size wet bar that can accommodate you and your 25 friends all night long. 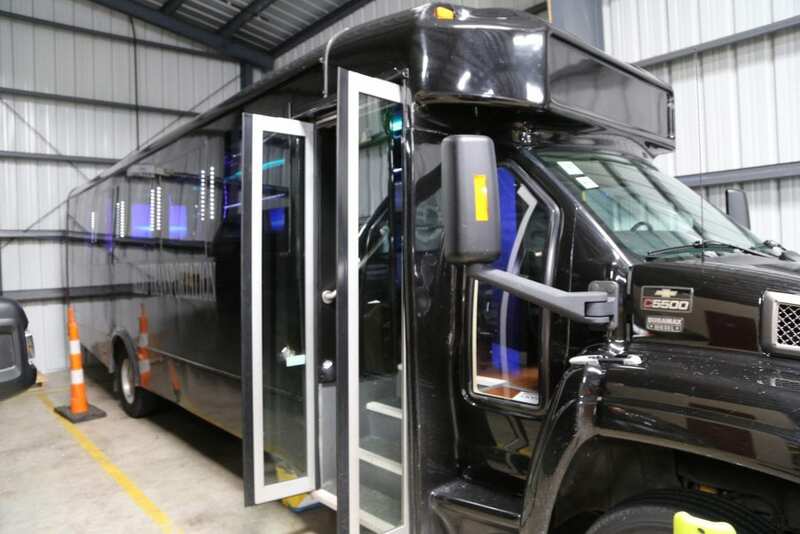 This video of the Party Animal is a 360° Video. 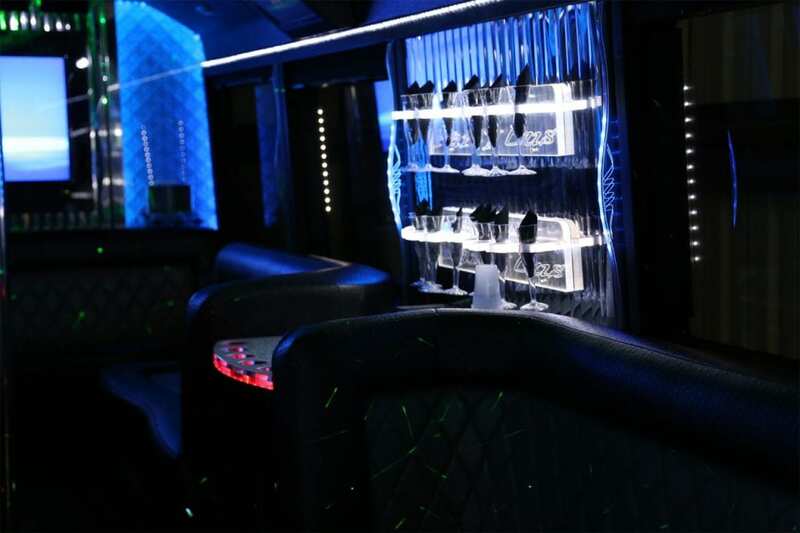 Use your mouse to view the entire Party Bus.